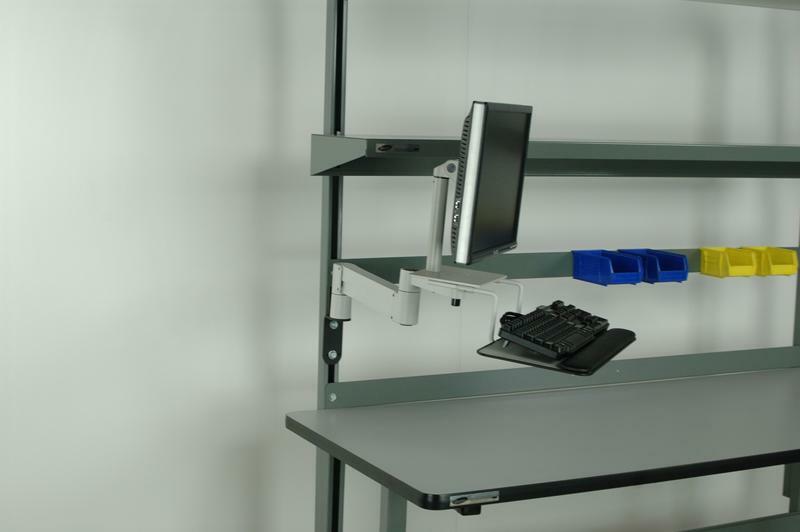 This high end heavy duty swing arm takes ergonomics to a new level with the ability to adjust the elevation and position of your monitor and keyboard without loosening any hardware. 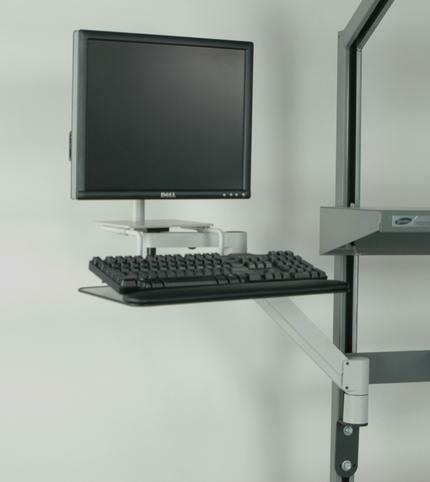 This unit can be adjusted for the combined weight of these two items and allow for effortless movement of the arm with it staying in position where you adjust it. 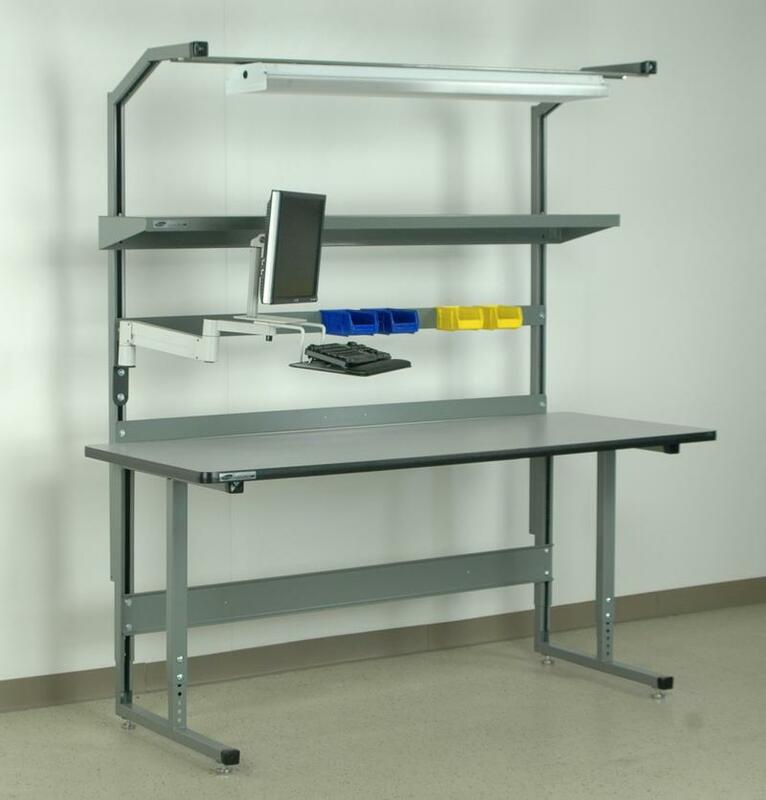 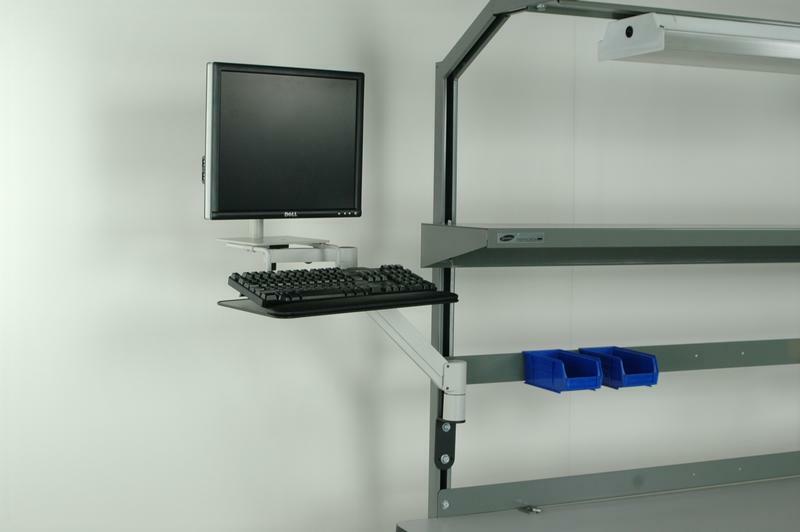 All units bolt to our overhead structure uprights and can also mount to any worksurface.